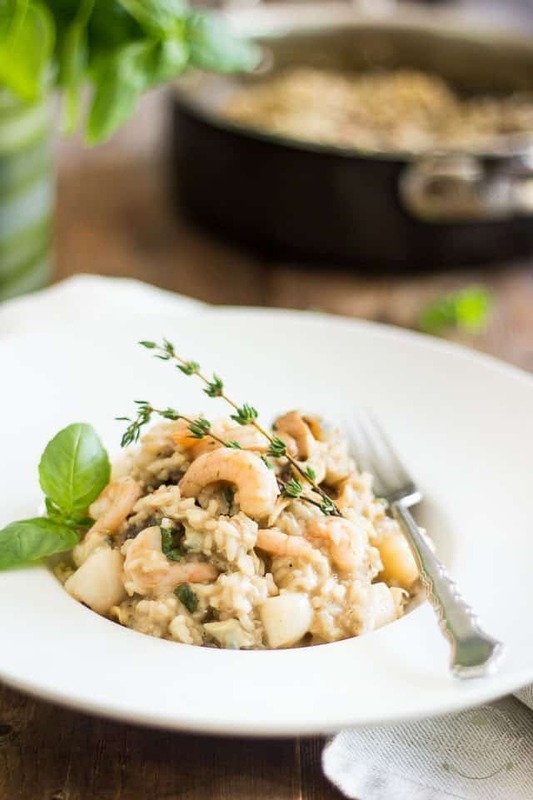 Even though white rice is becoming more and more accepted among the paleo community, I feel that a dish like this Seafood and Wild Mushroom Risotto, where rice totally shines as the main ingredient, doesn’t exactly fall under the Paleo category. 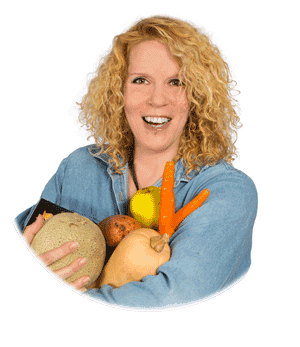 So I guess there’s a good chance that I’ll be using te Non-Paleo Recipes Category a little bit more then I’d initially anticipated… I hope you guys are okay with that. A few of you have already expressed their appreciation for my new way of cooking / eating and I’m super grateful for that. Now I don’t know exactly where it is that I’m headed, but fear not… I have no intention of veering too far from my actual course. 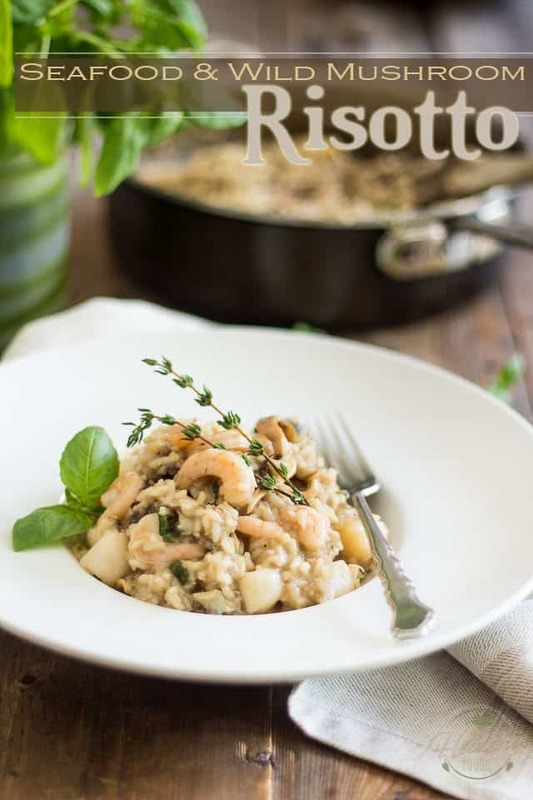 A lot of people think that making risotto is extremely long and complicated and would be better left to the experts. Let’s set the records straight! 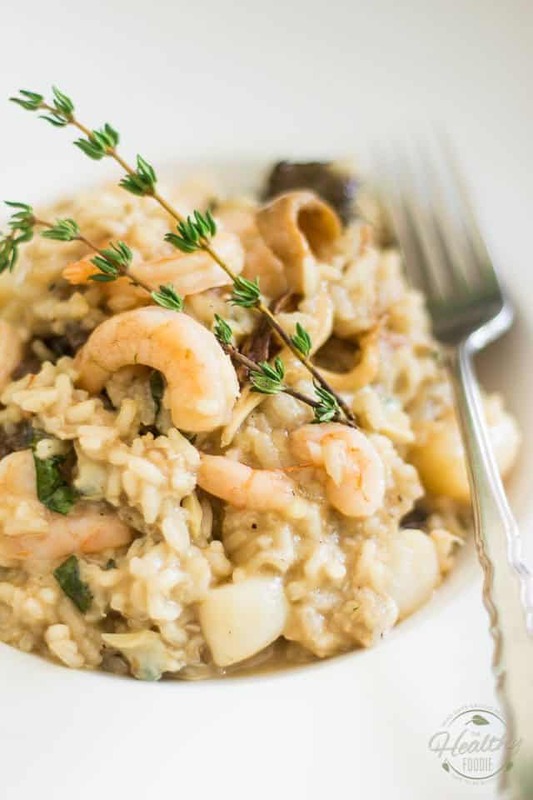 While it is true that making risotto takes time, it’s not complicated at all. 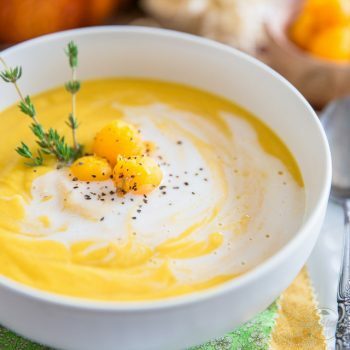 There are only a few simple rules that one must follow in order to succeed at making this super soft, creamy and unctuous dish. Said cooking liquid must be really super tasty as it’s the very foundation of the dish. 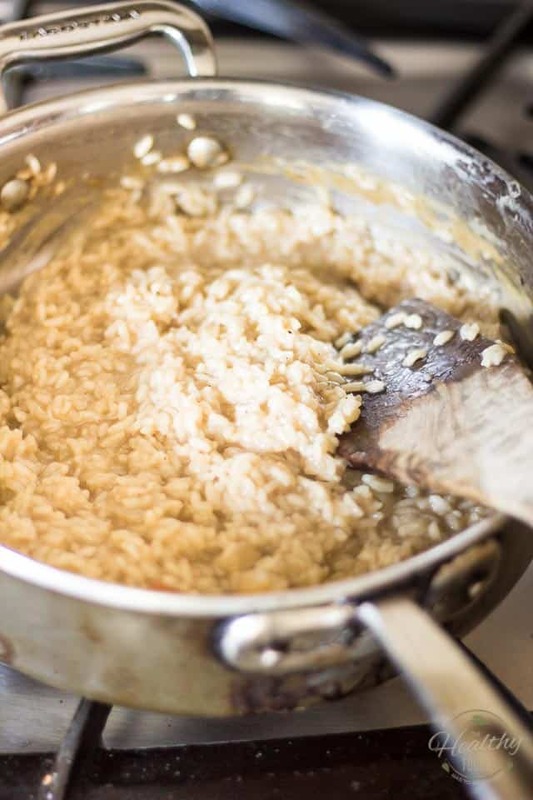 And contrary to popular belief, you don’t need to add tons of cream, butter and cheese to your risotto for it to become super thick and silky smooth. The starch in the rice alone will take care of that for you. So like I said, the foundation of a good risotto relies greatly in the liquid that you’ll be using to cook it. This needs to have TONS of flavor. So, to infuse our rice with as much flavor as possible, we’ll be using all the fragrant liquids that we can from our various ingredients. For starters, your shrimp and scallop (whether using fresh or frozen) will generate some pretty flavorful juices for you. If you’re using frozen, make sure you thaw them in a bowl so you can save all the liquids that will run out as they thaw. 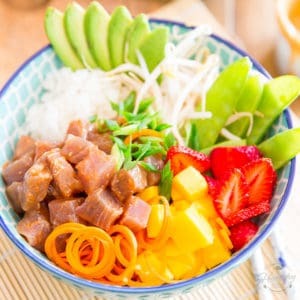 Once thawed, place the seafood in a fine mesh strainer set over a small saucepan to save all of their juices; If using fresh, you should still be able to collect a few ounces of these juices, so make sure you strain them, too. Next, pour the baby clams right over the shrimp and scallops, to collect all of that tasty canning liquid. Don’t forget the mushrooms! The water in which you soak the dry mushrooms as you re-hydrate them will be exploding with delicious earthy flavors. Make sure you hang on to that and add it to the saucepan that contains the seafood drippings. Lastly, to add another couple of layers of goodie-good-flavors, throw in some bone broth (or chicken stock), Dijon mustard and white balsamic vinegar, as well as a good amount of water so the broth doesn’t end up being too heavy, and bring all those lovely fragrances to a simmer over low heat. While that’s happening, melt some ghee in a large skillet set over medium heat. Add the onion, salt and white pepper and cook, stirring occasionally, until the onion softens and turns slightly golden, about 2 to 3 minutes. 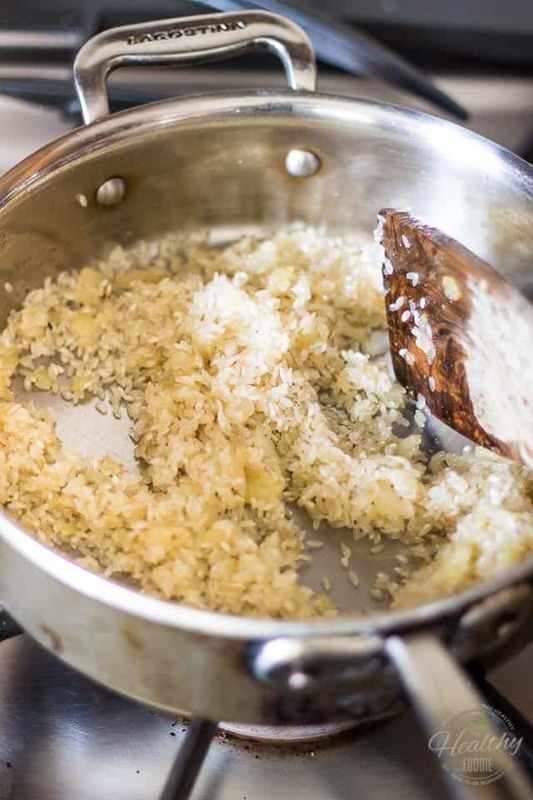 Then, stir in the arborio rice and cook, stirring often, until the rice is completely covered in fat and the ends of the grains start to become translucent, about 2 minutes. Now time to add some serious flavor to our rice! Turn the heat down to medium-low (it’s a food of love, remember?) and add about 1 cup of the simmering stock. …until all the liquid has absorbed and the bottom of the pan is almost dry. This should take about 10 minutes. Whatever you do, don’t let the bottom of the pan go completely dry. You don’t want your rice to stick and you don’t want to lose all of that smooth, starchy liquid base. The rice needs to remain slightly wet at all times. 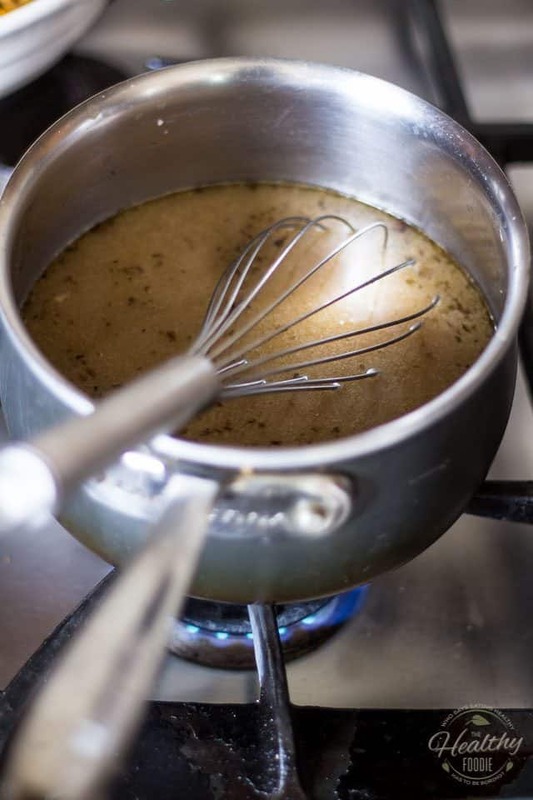 So when the pan is ALMOST dry, add another 1/2 cup of the hot broth and continue cooking, stirring often, very often, until almost all the liquid has been absorbed again. 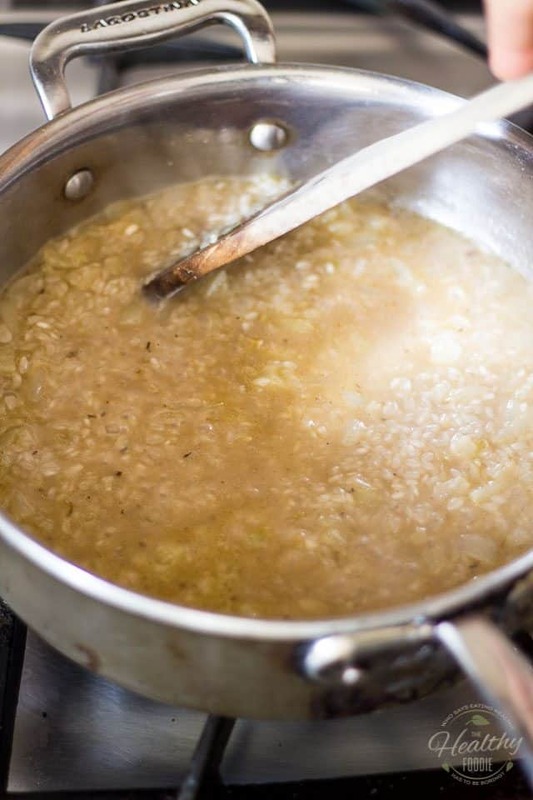 Repeat, adding 1/2 cup of hot broth each time, and continue stirring until the liquid is almost completely absorbed between each addition, until the rice is completely cooked and velvety smooth. 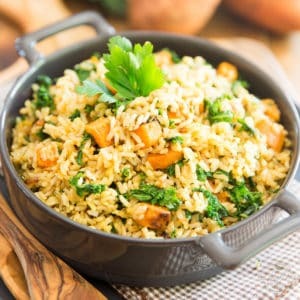 This will take about 30 to 45 minutes, depending on how soft and creamy you want your rice to be. Some prefer it al dente, some like it super mushy, almost like oatmeal in consistency. Depending on how long you cook your rice for, you may not use all the broth but you may also run out. If you find yourself a little short, don’t sweat it: just use plain boiling water. 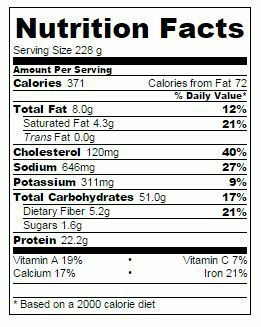 You shouldn’t need to use THAT much, anyway, so it won’t impact the final flavor all that much. Or, use more bone broth or chicken stock, if you have some handy. 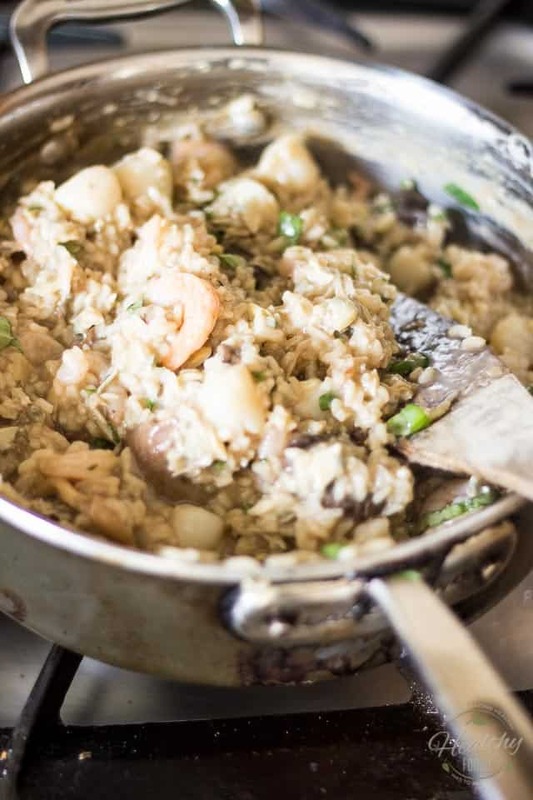 When your rice is cooked to your liking, gently fold in the shrimp, scallops, baby clams, re-hydrated mushrooms and a final 1/3 cup of the hot broth or boiling water. 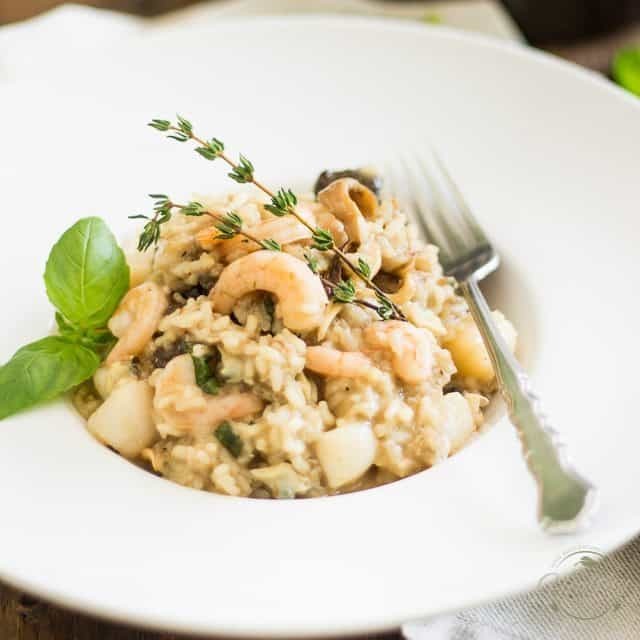 Reduce the heat to low and cook, stirring very delicately once or twice, until the seafood is cooked through, about 5 minutes. 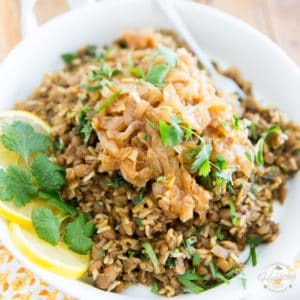 Carefully stir in fresh herbs, adjust seasoning if needed, and serve immediately. Now just you wait until that fist bite hits your lips! 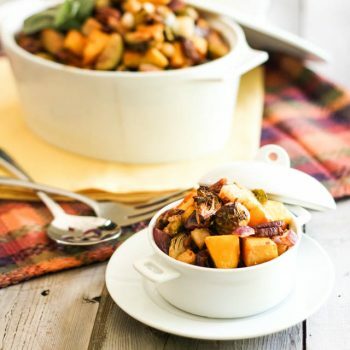 Heavenly goodness without a hint of guilt, that’s what this dish is all about. 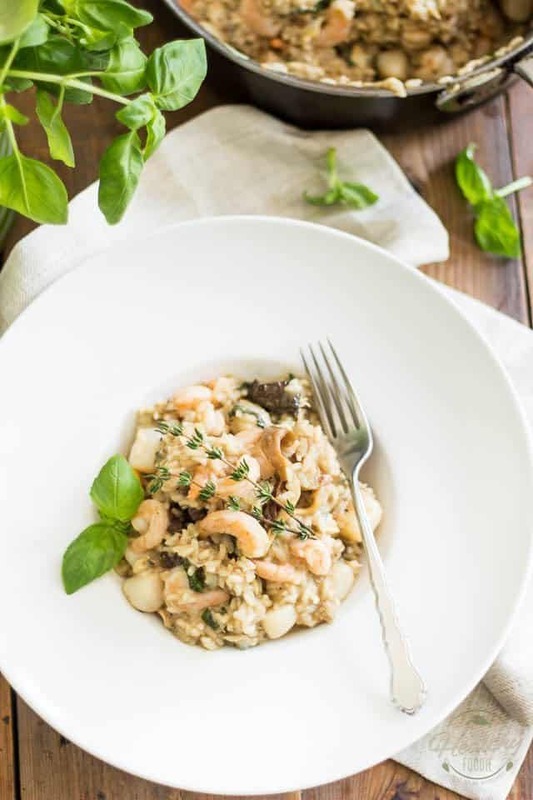 If using frozen shrimp and scallops, make sure you place them in a bowl to thaw so you can save all the liquids that will come out as they thaw. 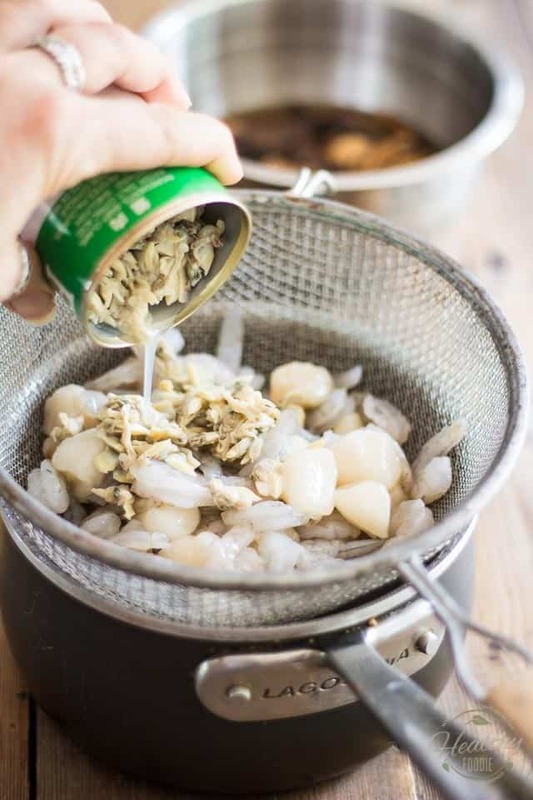 Place the shrimp and scallop in a fine mesh strainer set over a small saucepan to save all their juices; pour the baby clams right over to collect the canning liquid. Rehydrate the mushrooms according to the directions on the package and once rehydrated, add the soaking liquid (you should have about 1 cup) to the saucepan containing the seafood drippings. Add the bone broth, water, Dijon mustard and white balsamic vinegar and bring to a simmer over low heat. 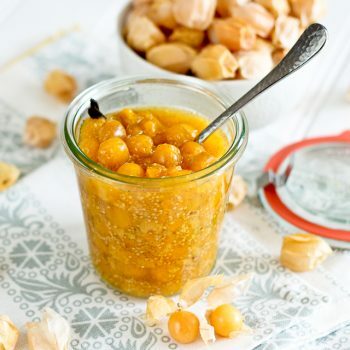 Melt the ghee in a large skillet set over medium heat. Add the onion, salt and white pepper and cook, stirring occasionally, until the onion softens and turns slightly golden, about 2 to 3 minutes. 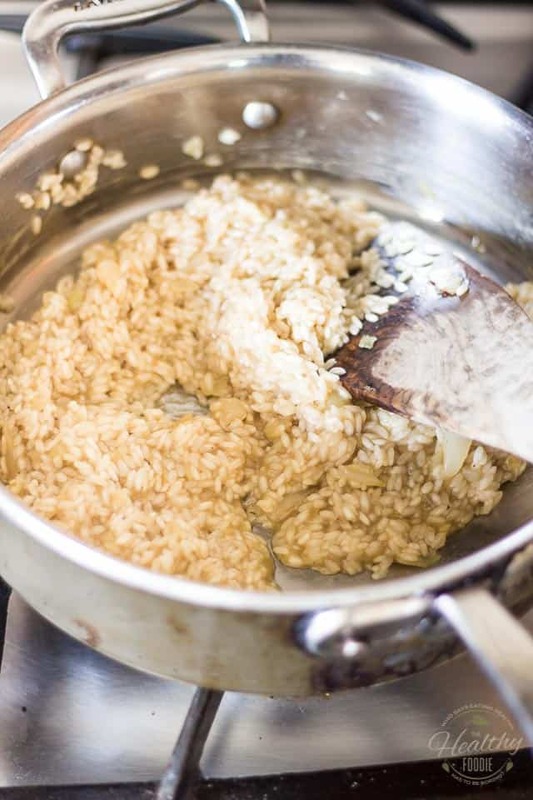 Stir in the Arborio rice and cook, stirring often, until the rice is completely covered in fat and the ends of the grains turn translucent, about 2 minutes. 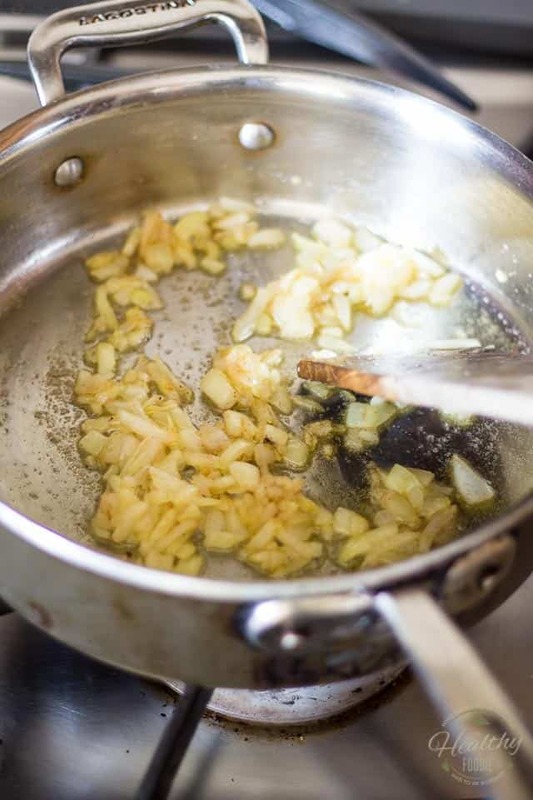 Turn the heat down to medium-low, add 1 cup of the simmering stock and cook, stirring frequently, until all the liquid has absorbed and the bottom of the pan is almost dry, which should take about 10 minutes. Add another ½ cup of hot broth and continue cooking, stirring often, until almost all the liquid has been absorbed again. Be careful not to let the bottom of the pan go dry. 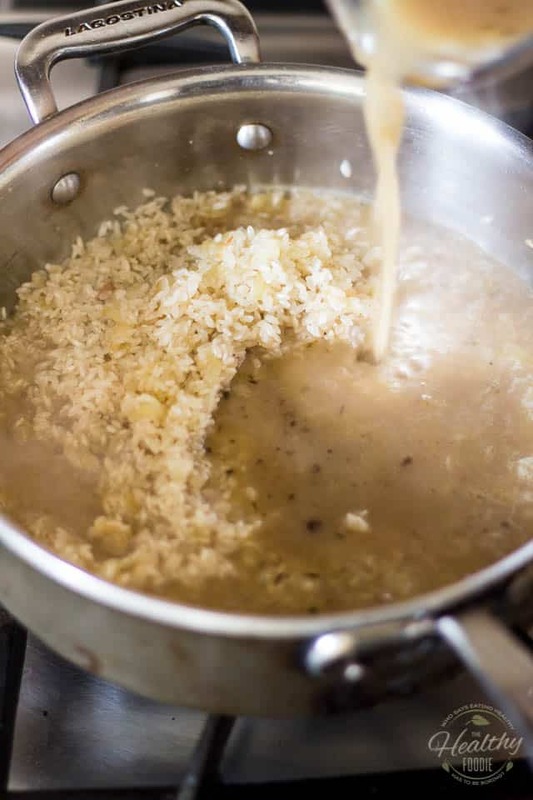 Repeat, adding ½ cup of hot broth each time, and continue stirring until the liquid is almost completely absorbed between each addition, until the rice is completely cooked and creamy. This will take about 30 to 45 minutes, depending on how soft you want your rice to be. Some prefer it al dente, some like it super soft, almost like oatmeal. Depending on how long you cook your rice for, you may not use all the broth or you may run out. If you find yourself a little short, don’t sweat it: just use plain boiling water. 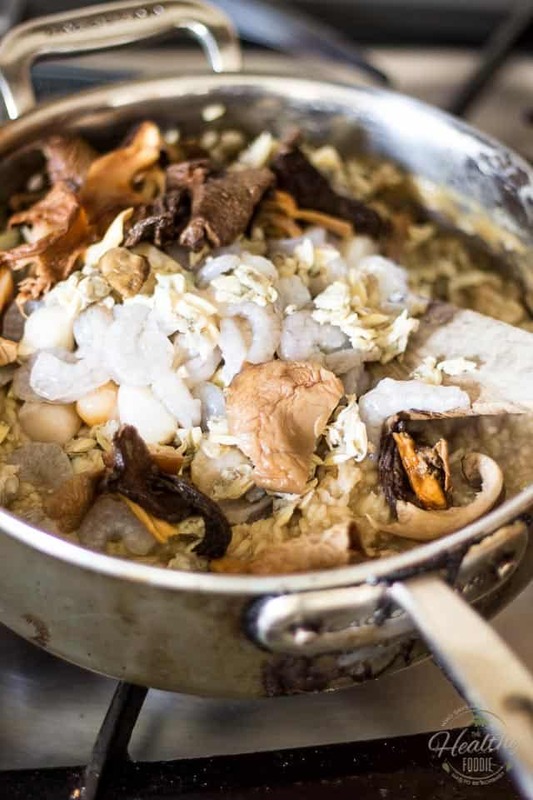 When the rice is cooked to your liking, gently fold in the shrimp, scallops, baby clams, rehydrated mushrooms and a final ⅓ cup of hot broth (or boiling water, if you’re all out). Reduce the heat to low and cook, stirring very delicately once or twice, until the seafood is cooked through, about 5 minutes. 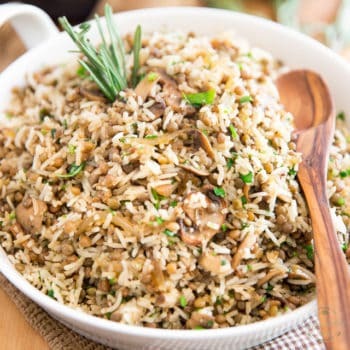 Carefully stir in fresh herbs, season with additional salt and pepper if needed, and serve immediately. YIPPEE!!! Oh deliciousness! Thank you Sonia, this might just have to be Sunday night dinner!! !